Sin is pervasive. It is the recurring enemy throughout the story of Scripture. After the setting of creation is in place, the conflict of the story bombards the reader of God’s glory story in Genesis 3–11. Sin after sin, rebellion after rebellion, and utter wickedness and depravity are recounted from the very first sin in the Garden of Eden to the climax of the sin at the Tower of Babel. Adam and Eve’s transgression is not one of simple disobedience. 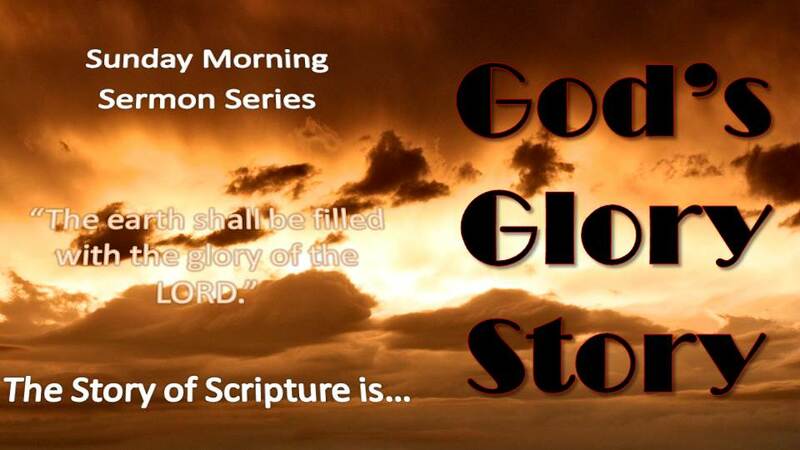 It is a willful refusal not to participate in God’s glory story. Rather, they prefer to make a glory story of their own. Certainly they ate from the tree God said not to eat. But there is much more going on. In the beginning God, the I AM, created everything. Before there was anything (like water, plants, people), before there was space or planets, and before there was even time, there was the Great I AM. In His perfect wisdom, He devised a plan that would accomplish the sharing of His glory. You see, I AM was and is perfect. He is supreme, sovereign, and holy. His glory was the goal of creation. It was why He did it. His glory, although beyond compare, can be likened to the greatest painting ever brushed on a canvas. The painting is so majestic that it must be shared with the world. What good would it be to keep it hidden and secret? And I AM’s glory was and is infinitely greater than any painting. And so, He orchestrated a plan for a world (a canvas) to display His glory and a people to behold it. I AM created a place and people for the ultimate purpose of His glory. His plan was to fill the entire earth with His glory. In the story of creation, there are 2 trees mentioned. We aren’t told much about them, and perhaps the most elusive is the “tree of life”. After Adam & Eve sin, they are removed from the Garden of Eden and out of the presence of God. But Gen. 3 explains that this exile is in part so that they will not also eat from the tree of life and live forever in a perpetual state of sin and removal from God’s presence.